In 2006, Elsevier embarked on a series of external outreach workshops under the name ‘Publishing Connect’. Aimed at early career researchers – PhD students, postdoctoral students and junior faculty – these events are held at universities and institutes around the world. The need to train these authors and reviewers of the future on specific aspects of the publishing cycle has become increasingly important as the number of manuscript submissions from non-native English speaking countries continues to rise. In 2010, we recorded about 150 workshops on how to write and submit research but, in 2011, that number rose to 220 and the number of attendees topped 15,000. Encouragingly, countries like China, India and Brazil had some of the highest attendance figures. In fact, Brazil was the venue for an ambitious 10-day roadshow tour by Elsevier’s Publishing and Sales teams. The feedback from both the participants and the institutes involved in all these events continues to be positive. Not only do the attendees receive ‘golden tips and tricks’ to publishing at an early stage in their career, the institutes know they have helped to nurture their own researchers to be the best authors and reviewers in their disciplines. The content for these presentations is created by Elsevier’s publishers, who draw extensively on their own experiences and expertise. They also work closely with you to develop workshop opportunities, and travel extensively to present at these events, giving them vital opportunities to expand their networks and hear directly from the scientific community. “Talks given at one event have led to invitations to give further talks. Each time, I get to meet and interact with new people,” says Chris Pringle, Executive Publisher of Social Sciences. If you haven’t already considered such an event at your institute then why not contact your publisher to explore the possibility? Some of the most popular workshops focus on topics like ‘How to get published in research journals’ which addresses how to prepare and submit a manuscript, using correct manuscript language, and how to structure an article. Additionally, we host workshops on ‘Author rights and responsibilities’ which discuss in detail ethics and plagiarism pain points and solutions. At the start of 2012, the Academic Relations team – which facilitates this program in close association with Publishing – embarked on translating some of the workshop content into free-to-view, bite-sized training webcasts. Lasting up to 10 minutes each, these give the potential author quick hands-on tips and tricks on a number of different topics. Working with our global offices we ensure these webcasts are available to everyone who is interested in submitting a paper and getting published. Since the launch of the ‘How to Get Published’ series in January, the webcasts have received more than 129,500 views. An author training webcast library has been created on www.elsevier.com/trainingwebcasts to host the series and new topics such as rights and responsibilities, ethics and plagiarism, and how to review a paper will be added in the near future. Clearly this is a resource that authors are keen to tap into and we hope that it will ensure valuable training is freely available to early career researchers across the globe. The new Elsevier Biggerbrains website, launched in March this year, provides career guidance and advice for early career researchers who want to build their career more effectively. It has important sections on Search and Discovery, Writing and Publishing , Networking, Funding and Career Planning. 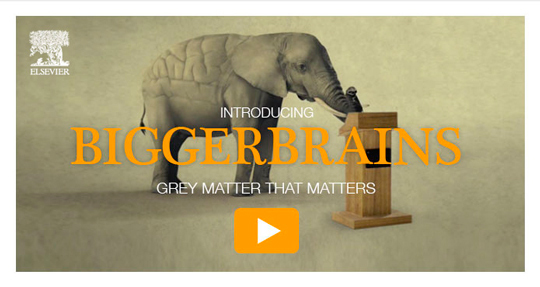 Featuring interviews with professors, Biggerbrains represents the collective knowledge of the research community. The site provides a broad mixture of inspiring video interviews with professors, career-planning tools, featured skill development articles and materials, a game and job alerts. The knowledge provided is of benefit to all research areas, across all disciplines. There's also a deeper section with a range of online tools and solutions. The campaign reaches young researchers by using various communication vehicles such as print and online advertising, email communications, social media, conferences, events and author workshops. The site has been visited by researchers globally. We invite you to visit www.biggerbrains.com and share this with the early career researchers in your institution to help them to build and accelerate their research career. You are welcome to contribute to Biggerbrains by providing guidance and advice to young researchers in the related areas. To do this please contact Kuan Juan at k.juan@elsevier.com. We have also created a section dedicated to early career researchers on elsevier.com, offering a range of information and resources. The new Early Career Researcher page contains an overview of all the Elsevier support available, including links to our new Authors’ Update newsletter, research veteran Professor Alan Johnson’s valuable Charting a Course for a Successful Research Career booklet, and a useful interactive PDF called Understanding the Publishing Process. If you have ideas for how we could be helping early career researchers, please let us know by posting your comments below. Also in this issue: Early Career Researchers Share their Thoughts on the Future. Hannah joined Elsevier in 2007 as Marketing Communications Manager for journals in Physics and Astronomy. With more than 10 years’ experience in communications and relations roles she now leads the Academic Relations team in Amsterdam. This team focuses on delivering information innovatively to Editors, authors and reviewers of Elsevier journals, together with ensuring that Elsevier maintains its close partnerships with these vital communities. 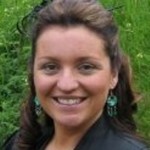 Hannah has a professional and academic background in European business and speaks four languages. Tina left post-doctoral research to join Elsevier as a Journals Desk Editor in 1991. In 1995, she took on the first of a range of portfolios spanning a 14-year period as a publisher, first in the Life Sciences and, after a year in electronic product development, in the Health Sciences Divisions. 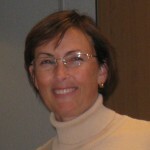 In 2009, she re-joined the Science & Technology Journals division where she has undertaken several responsibilities including managing the Beijing-based Publishing Content Coordinators group, the Journals Training & Development manager, and the Project Office, and liaising with Global Production Journals.